Just like every great character in a novel, you need a motive. I’m not talking about the “my brother was killed by robot dogs and now I’m waging a war on all robots” motive. Although you should feel the same kind of drive and purpose as your “revenge on all robots” character, it should be directed toward your writing. So, what’s yours? Why do you want to spend hours and days of your precious free time crafting a novel or penning your memoir or writing a book to complement your automotive repair business? What’s your motive? I want you to pause (for at least thirty seconds) and think about why you want to write. Take notes if you want. Wesley was motivated to rescue Princess Buttercup. Wonder Woman was motivated to save all humans from Aires. Lisbeth Salander wanted to overcome her troubled past and help Blomkvist unravel the mysteries surrounding the Vanger family. Hiccup, the young Viking, was driven to demonstrate that dragons are actually friendly and intelligent beasts that make powerful allies. Voldemort wanted to rise again and dominate the world. Your motive must be just as clear and concise. Once you have your motive (or motives), think about it every day. Write it out and put it on your bulletin board. Make a sticky note on your phone. Make it the background of your laptop. Tattoo it inside your wrist. Whisper it to yourself when you wake up in the morning and when you’re drifting to sleep. 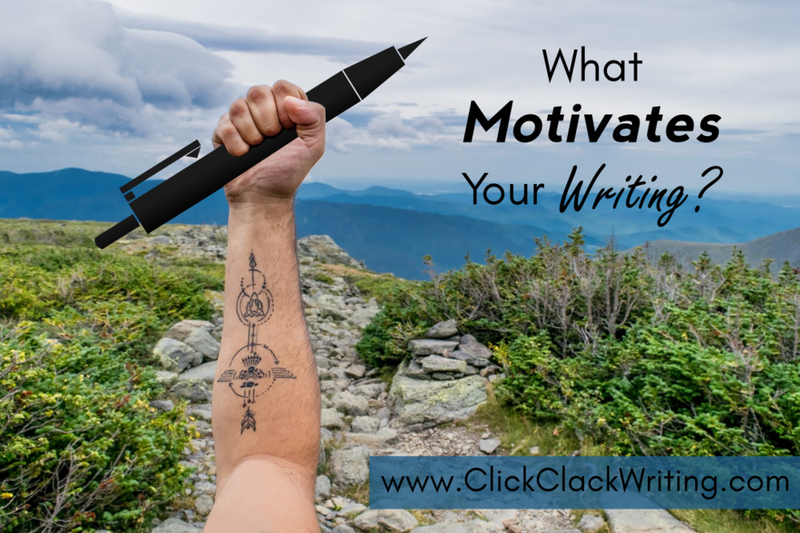 If you don’t keep your motive at the center of your writing, you’ll start to drift. You’ll feel downtrodden by rejection. You won’t feel up for rising at 5 a.m. and typing away. Your motive—just like Batman's drive to protect Gotham City—is your core. Don’t lose it. If you want to share, I’d love to know. Write your comments below.